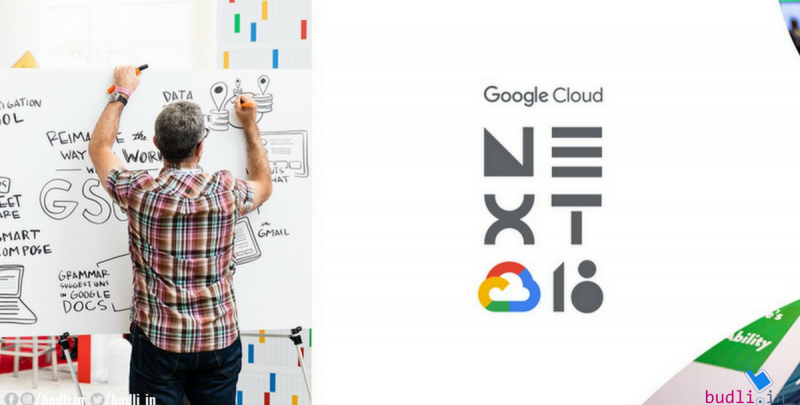 Recently Google has started hosting their Google Cloud Next 2018 conference in San Francisco. Technologies, tools, Partnerships several other announcements are going through there. Google has announced that they touched upon several key themes. Google Cloud service Drive is now going in the elite team of Gmail, Chrome, Maps, Youtube, Andriod, and Play store with 1 billion users to its portfolio. Google has unveiled their new Gmail material theme update at Cloud Next 2018. In this design, the Gmail app will receive desktop features like quick attachments in Inbox view. There are not many updates for the mobile app version when compared to the web version. Gmail app for Android version will get a White theme and background. Red accents are no longer present in Gmail. Profile avatar and navigation drawer come with a new full-width search bar. Inbox view list images, files and other attachments are updated in an Android version which is similar to the Web version. New Density option in the latest update helps us to decide the details visibility on the screen. “Additional advanced features will arrive for Gmail Web version”, said by Google. Every three months we find a new smartphone is released. At such a fast pace do you think that the smartphone you bought a year ago is still the latest phone? Obviously no! So do you ever feel like having the latest mobile but don’t know what to do with the old one? Here you have budli.in to solve your problems. Budli is the leading refurbished gadget site in India. At budli, it is very simple to get your old device refurbished and get upgraded to a brand new device. Budli happens to be the best because of its variety of products and the quality of the products. You can be carefree about your budget as well as Budli offer many discounts for you. Get rid of your old device and get your hands on the latest one with budli.in.